"A life inspired" won a copy of Hazardous Duty by Cristy Barritt. 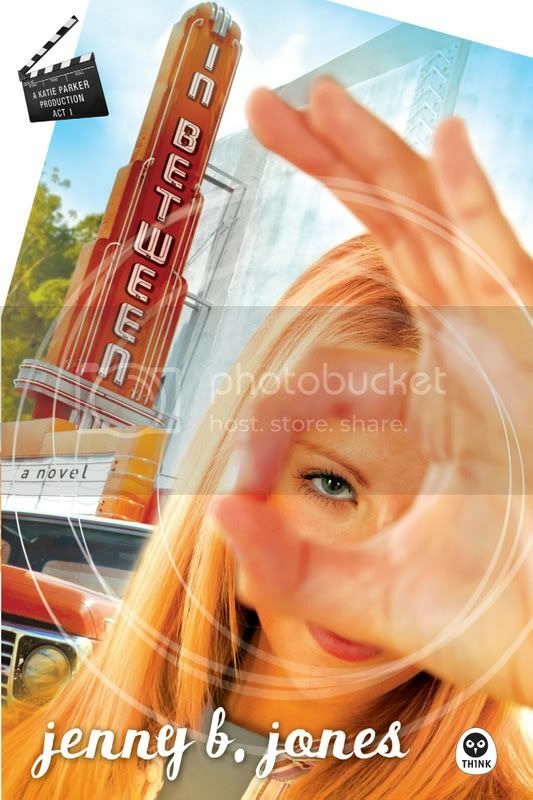 :-)ronie won a copy of In Between by Jenny B. Jones. Both of you need to send me an e-mail with your mailing address, so we can get the books to you. I've known Kim Sawyer both online and at conference. We've had a lot of fun together. 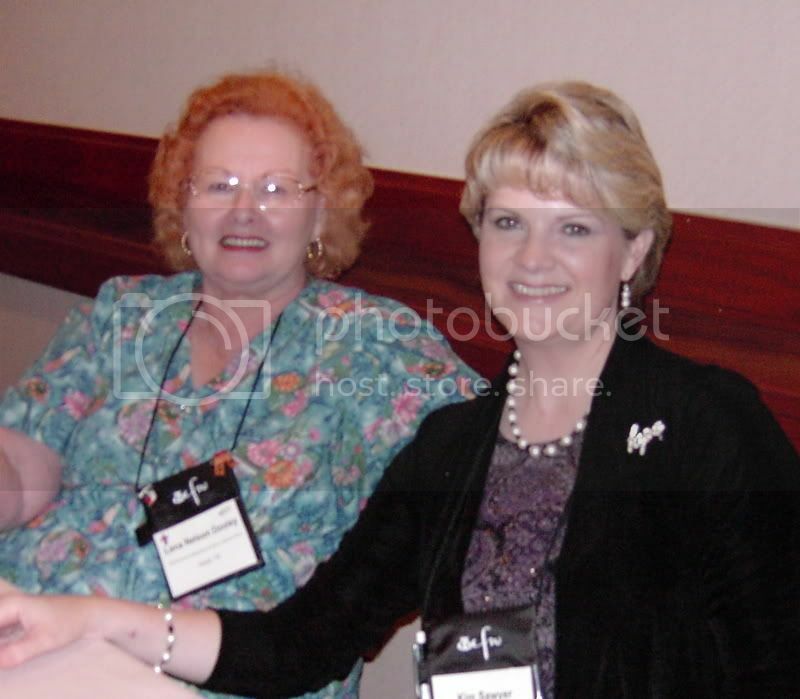 Here's a picture of us at the booksigning at the ACFW national conference in Dallas last September. We shared a table. I really look forward to being with her at conference this September, too. If you live within driving distance of Dallas, you might want to drive to hotel and meet both of us. Kim's newest release is Bygones. I've read the book, and it's a wonderful read. We're going to give away a free copy to one of the people who leave comments on this interview. Be sure to do that, but if you don't win the free one, you'll want to get your hands on this book. Kim. what sort of research was required to write a book like Bygones, to assure its authenticity? You should see my "research book" shelves...full! lol I did a lot of reading, but I also did some "on the street" research. Just a few miles from my hometown is a small, Amish-Mennonite community, so I wandered the streets there. I visited with a handful of young women who were willing to share some thoughts with me. Then I prayed it would be all right! I didn't want to perpetrate stereotypes or myths about this gentle, dedicated group of people. One thing I learned is that each different sect has its own set of "guidelines" concerning what is and isn't acceptable, so I finally just had to say, "Okay, this is what I'm using" and call it quits for my fictional community. Why do you think readers have an interest in the Amish/Mennonite way of life? There's a peaceful simplicity to their lifestyle that I think we who are caught up in the hustle-and-bustle full-of-technology world find intriguing. I would imagine nearly everyone, regardless of contentment in life, occasionally finds himself longing for a simpler time. They live their faith so openly with their distinctive clothing and modes of transportation--it just captures our attention. I found it interesting in my research to discover not all people are born to the Mennonite/Amish faith, but choose it later in life. So there must be an appeal. Which character in Bygones can you most relate to, and why? It might seem a little strange, but I most closely relate to Henry Braun. I tend to be fiercely loyal and want to believe the best of those I love. I suppose I can also relate to Marie as a mother of three girls--I understand that mom/daughter bond and the desire to protect and provide for your child. What's your favorite writer's block trick? Prayer, followed by going back and rereading what I've already written. I ask God to open my heart to the characters again, and by going to the beginning, I can emerse myself in the story once more. I usually munch dark chocolate while I'm doing the rereading, too. What do you crave (beverage or food) when you are under "writer's stress"? Hm, I am a dark chocolate-aholic, so I crave it whether I'm under stress or not! I join you in that, Kim. Can you share something with our readers about what God has been teaching you lately? I've been so amazed at the Holy Spirit's empowerment in my life. I am a bashful person--I've never liked being front and center or a part of large crowds--but writing kind of throws you out there. Your book is being read by people you don't know, and people are calling you to come speak, and sometimes it can be overwhelming. But God whispers, "Peace, be still," and reminds me I can do everything through His strength. Then, when I face that audience or read reviews, and somebody picks up something from the written or spoken words that's beyond the message I planned, I know God is at work behind the scenes, using my humble offerings to impact lives for Him. He's reminding me again and again I don't have to be perfect, I just have to be willing, and He can use this tarnished vessel. He truly is an awesome God. I am currently reading The Book of Boston: The Victorian Period as research. As a writer of many historical books, I'm sure I'd like that one, too. What would most surprise our readers about you? I have a little bit of an ornery streak inherited from my meek, innocent-looking mother. lol I love a good practical joke, and it usually catches people by surprise because they wouldn't expect it of shy, introverted Kim. Of course, now that I've stated that, I might have to curtail my joke-playing! What book is coming out next? Can you give us a sneak peak into the story line? The next story will be the second in the Sommerfeld Trilogy, called Beginnings. This story focuses on Marie's daughter, Beth, who has chosen to remain in the community of Sommerfeld to open her own business, but feels alienated from the community. Two men--one Mennonite and one "worldly"--will vie for her attention, and Beth must dig deep into her heart and new-found faith to discover where she truly belongs in the world. I hope readers will enjoy her journey of developing trust in both God and man. I can hardly wait until that one comes out, too. Give readers one good reason why they should read Bygones. I think those who read Bygones will leave with an appreciation for deep-rooted faith and a healthy respect for those who live differently among us as an expression of their faith. What takeaway point do you hope readers pull from the book? Holding onto anger leads to regret and pain, and it can have a trickle-down effect through the generations. Jesus told us to "forgive seventy times seven," and He said it because he knew the heartache of holding onto wrongs. While writing this story, I faced a situation that brought great pain--someone else's choice had impacted my family tremendously, and I admit to feeling bitter. But writing about Marie and her family helped me get a perspective on what could happen in my family if I didn't forgive and let go. It isn't easy, but it's necessary, and the positive results are well worth the effort it takes to say, "I forgive." I hope the story will help others move toward reconciliation if they harbor a bitter resentment toward someone. Where did you birth the idea for this book? How did it come about? Oddly enough, I was contacted by an editor at Barbour who had learned I have a Mennonite background. Barbour publishes Amish fiction, and they thought it would be interesting to juxtapose that lifstyle with the Mennonite. So I was asked if I'd like to submit a story using a contemporary Mennonite setting. I'd had no aspirations in that direction, but once asked, this character--Marie--just sprang to life in my head. The story went in about four different directions before playing out with the adult daughter, the beau-left-behind, and the faithful, prayer-warrior aunt. And, as I said, God used it to bring a sense of healing in my own heart during its writing, so I believe it was God-inspired. Are your characters from real life experiences? A compilation of people you know? Since writing is personal, it's hard to avoid bringing real-life situations into the fictional communities and characters. In the case of Bygones, Lisbeth is a combination of an aunt with whom I spent a great deal of time when growing up (my Aunt Lois) and my mom, who is my biggest prayer warrior. Consequently, the character of Lisbeth is quite special to me. The other characters in this story are pure conjecture. Lena, thanks so much for the opportunity to visit with you! I enjoyed it! And I thoroughly enjoyed this time together. After being shunned by her parents for marrying someone outside the Mennonite community, widow Marie Koeppler left her childhood home and never looked back. It was too painful. Now, nearly twenty-five years later, she's stunned to see her former beau walk through the doors of the truck stop where she waitresses. He brings unexpected news. Marie's aunt has died, and to everyone's surprise, she's left her house, belongings, and café to Beth, Marie's daughter. But there's one catch. To receive her inheritance, Beth must come and live within the Mennonite community for a period of no less than three months. Beth determines to live there so she can pay her mother back for all the sacrifices Marie made for her growing up. Marie returns with Beth to help her adapt to the Mennonite lifestyle and finds more than her lost beau waiting for her. It isn't long before she finds herself wanting to remain. Beth, however, finds herself living under a shadow of suspicion when homes are broken into and antiques are stolen. Loyal to her daughter, yet missing the simplistic lifestyle, Marie is once again faced with a heart-wrenching decision. When Debra Clopton's first book burst onto the publishing scene, I was immediately captivated. The Trouble With Lacy Brown was followed by four other novels taking place in Mule Hollow, Texas. You'll want to get your hands on all five of these books. They bring a refreshing, unique flavor to Love Inspired Romances. At the time, I didn't know Debra. 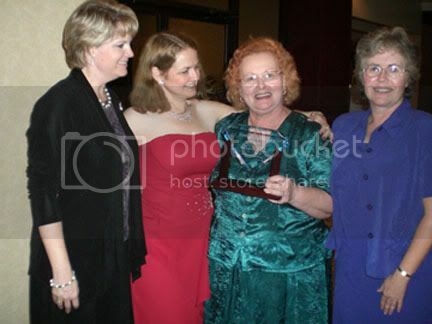 I just knew that she was a member of ACFW, so I rejoiced with her for her first book's release. Over time, I've gotten to know her better, and I love her just as much as her books. Debbie, tell us how much of yourself you write into your characters. First I have to say thanks for having me here, Lena! You can never tell where some part of me is going to show up. It might be in the heroine or it might be in the hero, but there is usually something of me in every book. It might be a serious emotional thread that I’ve experienced that sets the story up or it can be something small that adds flavor to a character. For instance my huge love of Banana Taffy went into my second book…I could eat that stuff all day long! 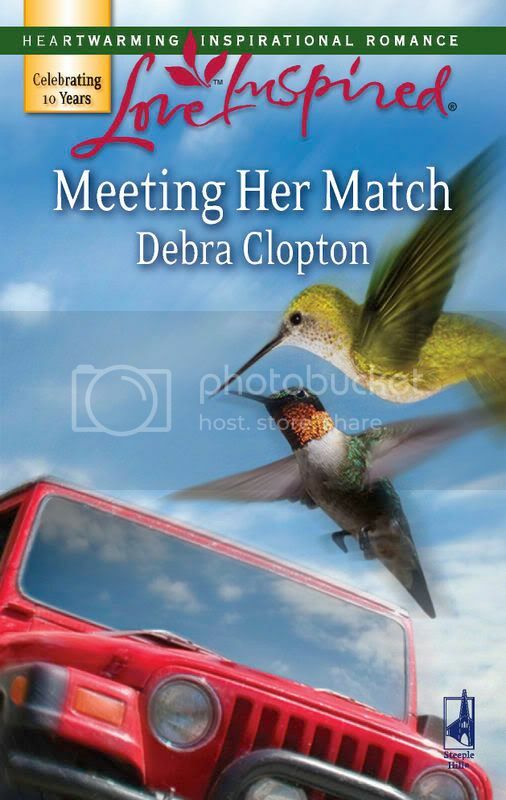 In my latest book Meeting Her Match coming out in June from Love Inspired, Sheri the heroine and I share a stubbornness and also a fear of heights, tingling toes and all. That said, I try to let people know that though I might use bits of myself, as most writers do, I don’t ever use completes. Reason being, for one, I don’t want to totally exploit myself, and second, I purposefully avoid that so my character becomes his/her own person. Third and most important--I’m just not that interesting! I'm sure that's not true. What is the quirkiest thing you have ever done? Before becoming a fulltime author I was a hairstylist and I dyed (enhanced might be a better word) a huge show horse black for a client. My rubber gloves immediately busted so my hands and arms were dyed black in the process, which wouldn’t have been so funny except I had to go teach vacation Bible School that night. The kids of course noticed my black hands and got a kick out of my explanation. The stain lasted for days, but it was worth it because I met Samantha the donkey while I was coloring the horse and knew I had to write a book with her in it. My second Mule Hollow book And Baby Makes Five came from that adventure. I loved that book, especially Samantha! When did you first discover that you were a writer? My third grade teacher Mrs. Blair started by hooking me on reading. But, in my senior year in high school the seed was planted by my English teacher Mrs. Knight that I should be a writer. I was doing writing assignments and she started reading them aloud to the class and kept telling me I had talent. But, because I was a horrible typist, a terrible speller (still am) and a C English student I had a lot to overcome. I didn’t actually try my hand at writing until about ten years later. But once I started I never stopped. And I'm glad you didn't. Tell us the range of the kinds of books you enjoy reading. To me the ultimate horror is to be caught waiting with nothing to read. I will read the receipts if there is nothing else around. My range is small on what I really enjoy reading I love to read contemporary romance. When I had more time on my hands I ventured out some, but my first love is true romance between one woman and one man the way God intended it to be. I love the journey two people take while falling in love. I’ve decided to just be crazy and go with the flow. Really! Also, I have to make sure to keep building up my relationship with the Lord and that is one of my underlying themes in all my books. Life is tough more times than not and it is easy to let things get to me if I’m not careful. If I’m really stressed I go for a drive in my little T-bird, wind therapy does wonders for my sanity. Writing humor is really hard when you’re stressed out and so I have to force myself to write sometimes, trusting that the Lord is going to guide my words. That’s the key to all of it, trusting the Lord to keep me grounded. I sit in front of my computer with my fingers on the keyboard then I just type them down as they come. I type until the right one hits me and I can see the character. When the first and last name hits its target I know because it fits the flavor of the book or meets a plot need. And it always has to zing! My two sons. I’m just so blessed to have them. You got me on that one…I don’t think I would want to be one. Maybe a bird, I love to drive fast always have so it might be fun to soar! Or maybe a Cheetah, isn’t that the one that can run so fast. Banana Taffy! Cheese cake! And Italian Cream Cake! Oh you said food not dessert—hmmm, that would be lasagna. Dessert is a food, isn't it? What is the problem with writing that was your greatest roadblock, and how did you overcome it? Being a really bad typist and a bad speller I had to practice, practice, practice the typing. But of course in the 10 years before I sold I wrote seven books and I did major revisions on three of those books twice so I had plenty of practice. I can type like the wind now. I’m a bit better at spelling, but I thank God always for spell check. But my biggest roadblock was time, as it is for many, I ran a business, working 12 hour days and still had to take care of my family, so finding the time to write was an issue. But, I was determined so I figured out a schedule and stuck to it. At least five days a week I wrote after putting my sons to bed, from 9:30 pm till 11:30 then I slept, woke up and wrote from 5:30 am, after my husband left for work, until 7:30 when I had to get my two sons up for school and head out the door. I used a laptop and wrote in the drive thru, during breaks, at T-ball games…you name it I was writing. I’ve always said that if I could find time to write anyone can. You just have to find what works for you. Even if its only 15 minutes to 30 minutes a day commit to it and do it. My schedule was very, very hard and I wouldn’t recommend it to anyone. I’d say be diligent, but don’t obsess. Find a balance. I always say learn all you can. If you have a weaknesses strengthen it but most important of all write. Not only write, but finish the book. It is during the process that you learn to apply what you’ve learned. Then when you finish the first book no matter how wonderful or how horrible, start another and trust that God gave you your talent and desire for a reason. But trust His timing too, it will save your sanity. Like I said above, be diligent in wanting to achieve your goal, but don’t let it take over and shadow the life you have now. Family is the most important thing. Meeting Her Match was a hard book to write. It is Sheri Marsh’s story and I introduced her in my very first Mule Hollow book The Trouble with Lacy Brown. I learned a valuable lesson when creating secondary characters, give yourself a character you can work with. Sheri Marsh was created as a dry humored side kick to bounce off of Lacy. I never realized how hard it was going to be to crack her open and make a heroine out of her. But I have to say, after a ton of hard work, I really love her story. She is fed up with the matchmakers interfering in her life and is going to turn the tables on the Matchmaking Posse of Mule Hollow. I love that God leads me as I write, and just like our daily walk with Him we don’t always see what He is doing in our lives until after it is done. Well that’s how my writing is. As ornery as Sheri was I couldn’t give her her own story, until I sat down and really let God show me why He’d given her to me in the first place. What I found out is that she had a secret, like most of us she was wearing a mask. I think people will relate to her in the end and get a kick out of her journey. Yes, I loved Sheri. And I loved the book. Thank you for spending this time with us Debbie. Readers, go to Debra's web site. You'll want to get a copy of each of these books. Remember that if you leave a comment on the interview, you'll be eligible for a chance to win a free copy of this one. I just love introducing my American Christian Fiction Writers friends to you, Readers. 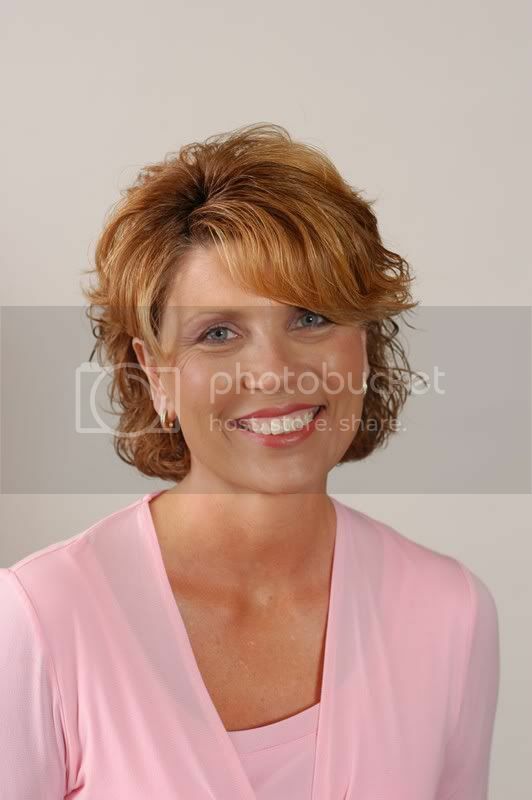 Today's author is Cindy Woodsmall. You're going to love getting to know her. Cindy, tell us how much of yourself you write into your characters. The depth of emotions each character feels is pretty on target with who I am. It only takes a momentary experience in life—when paying attention and adding imagination to it— to carry the emotive feel of that connection forever. One only has to haul hay in the grueling heat for a few minutes to then carry an emotional connection to that and then put it into a character in a book. But the integrity of each character is their own—however strong or weak. I think to date the wildest thing I’ve done while researching a book is boarding an Amtrak at midnight with my eleven-year-old son. We took an eighteen hour trip to Harrisburg, Pennsylvania, so I could get a sense of what Hannah experienced. It was a huge undertaking and only a smidgen of that experience needed to be written in the book, but it set the tone in my heart for who Hannah was and how she felt about her life. Interesting, Cindy. I loved the train scene in the book. When did you first discover that you were a writer? Sometime after I’d faced being 29 for the umpteenth year in a row. :-) But . . . my earliest memories of childhood are of me mentally reworking stories that my mother had read to me. I didn’t realize that was a desire to write sprouting in my young heart. Even after I won a county-wide writing contest when I was in high school, I never thought for a moment about pursuing writing as a career. Actually, winning did more damage than anything, because it embarrassed me to walk across the stage and receive a three-foot trophy. I hid it in my locker and vowed to never enter another thing that might win a trophy. But, throughout my adult years, desire to write grew stronger with each passing year. Unfortunately, I stood against it as a thief of my time. There is so much to do in a day and sitting at a desk didn’t seem the right way to use my time. It wasn’t until the stories became so loud that I could no longer quiet them that I began consciously wrestling with the idea of writing. By that time I had two older teens and a kindergartener. Hmm. I fell in love with books through historical fiction. That genre covers such a plethora of cultures and centuries of life for mankind; I love it! Right now my greatest love is reading works by the numerous authors I’ve come to know over the last five years. I know what you mean. My reading world has been greatly enriched by the books of my ACFW friends, yours included. What other books have you written, whether published or not? I have a stack of will-never-see-the-light-of-day works that I pounded out after I gave myself the okay to start writing. The stories had been held back for so long that I couldn’t focus on just one work. I think I wrote something like eight full-length, horrid-writing-beyond-belief novels in my first year of writing. My goal was to let the dam pour forth and hopefully at the end of that time, I could focus on one project at a time. Pretty much the answer to that is wrapped up in two words: God and family. God, who gladly shares His wisdom for organizing, His gentleness in causing me to decline taking on too much, and His peace for what can’t be organized or declined, but must simply be endured. Second on my short list is my family, especially my husband who always helps me carry plenty of life’s loads. An understanding husband is a gift beyond words for an author. How do you choose your characters’ names? Since I write Amish, the beginning point for me is research. Only certain names are used for characters who were born a couple decades ago or longer. The Amish are more accepting of newer names now, but most of my characters were born at least seventeen years ago. Added to that certain Amish surnames belong to specific regions of Amish country, so my Older Order Amish friend and I have spent a fair amount of time discussing names. Research is very important to any book. What is the accomplishment that you are most proud of? The greatest accomplishment I carry is not one I performed. And every achievement is rooted in that first accomplishment, which is offered to every human; the work of Christ living in us. I’d love to tell you about the only project I have going on: A three-book series called Sister’s of the Quilt. Book one: When the Heart Cries hit the shelves September 19, 2006. When tragedy strikes Hannah's Amish world, in one unwelcome encounter, all that she has known and believed is destroyed. As she finds herself entangled in questions that the Old Ways of her people cannot answer, Hannah faces the possibility of losing her place in her family, in her community–and in the heart of the man she loves. The seeds for When the Heart Cries were sown through the fun, heartache, and confusion I had through the close friendship with a Beachy Amish Mennonite girl. [Beachy Amish females wear the caped dresses and prayer kapps. Electricity, cars, and education up to the twelfth grade are allowed. Television and radios are not allowed and often they attend a privately run Beachy Amish Mennonite school or they homeschool.] That friendship lasted through most of elementary school and until I was fifteen when my family moved seven hundred miles south. But one of the coolest experiences in this writing journey is that a door to making a new Amish friend opened. Miriam, an Old Order Amish woman, and I have deeply enjoyed this writing journey together. [Old Order Amish use horse and buggies; they do not allow electricity in their homes. The children attend a one-room schoolhouse through the eighth grade, and if they receive permission from the bishop to have a telephone, it must be outside the home.] I’m thrilled that she not only opened her life, heart, and home to me, but she’s so excited about the story. She critiqued the entire manuscript for me and is more than ready for me to finish book two and send it to her. We talked on the phone yesterday (she has a phone shanty about a hundred feet away from her home) and we discussed the various Amish aspects of book two. Neither of us can believe I was unable to make it to her home this past summer, but I hope to make up for that next summer. What a blessing, Cindy. No wonder your book was so full of authenticity. Remember to leave a comment on the interview for a chance to win a free copy. Don't You Just Love Having Winners? Loney, you are the winner of Christmas in the Country by Jeanie Smith Cash. Contact me with your mailing address so we can get the book to you. 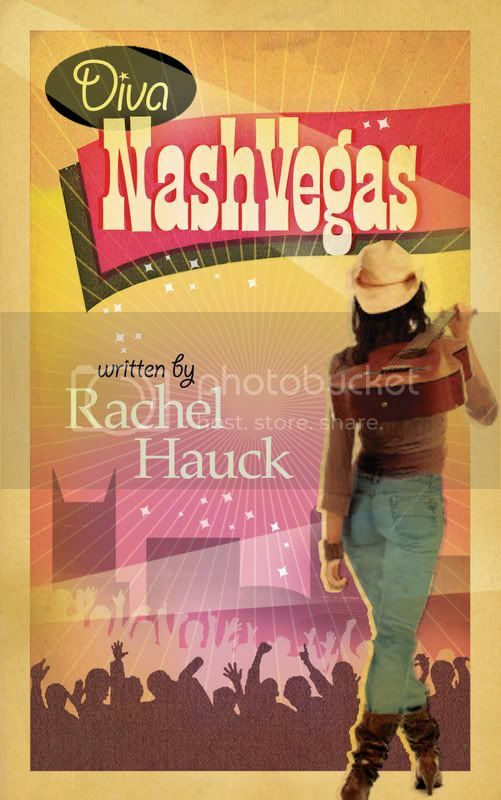 Also, Tracy Ruckman is the winner of Diva NashVegas by Rachel Hauck. We need your mailing address, too. Giving away free books is so much fun. If you didn't win either of these, you'll want to get your hands on a copy anyway. You'll always have another chance to win a book if you come back to the blog often. A reminder will be sent to you when a new post goes up if you'll sign up for Feedblitz. 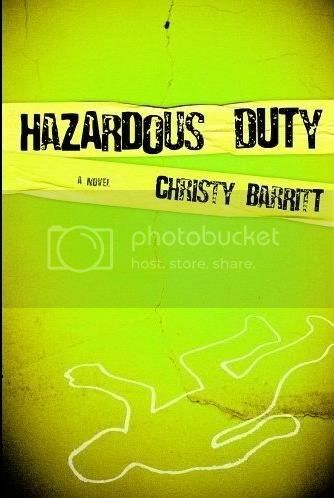 Read the interviews of Christy Barritt and leave a comment for a chance to win Hazardous Duty. And you'll want a chance to win In Between by Jenny B. Jones. With the end of school upon us, we're taking a departure from the usual adult fiction to feature a young adult novel. I met Jenny B. Jones through ACFW, and I applaud her for providing the kind of books we want our teens and preteens to read. Welcome, Jenny. I know that cover will really draw a lot of interest. fun and get to let some of my personality come out—unfiltered. Also Katie Parker, my main character, finds a love for drama and theater. That’s definitely me. My best teaching years were when I taught drama. So much fun. Wow! That is so cool! I also taught drama. So tell us, Jenny, what is the quirkiest thing you have ever done? Sounds like fun. I always liked to try new things. When did you first discover that you were a writer? I think I’ve always known. I’ve been writing since I could pick up a pencil. Luckily I had some great teachers who pushed me and fostered that interest. But I think my best experience came from writing notes at school. Now I can justify all those detentions. No, actually I’m working on the sanity part (Thus the health and cleaning how-to books!). I think prayer, prayer, prayer. Quiet time is my life preserver right now. I find that everything falls apart when I disconnect from God. And it sounds like a “duh” statement, but it actually can be easy to do when you run from sun up to sun down. And I have hope that at some point things are going to quiet down a bit. Right now I work full time and then come home and write, so I’m excited for the day that that becomes a bit easier. Nothing profound. They aren’t Biblical or symbolic. For Katie in the Katie Parker Production series, I wanted a universal name so all girls could see themselves in this character. Something well known like Katie. I think it’s like naming puppies—you want the name to fit though. They have to fit the character’s personality. When I was in junior high, I entered a Christmas short story contest that our teacher had told us about. It was about this girl and her brother who were spending their first Christmas after the death of their father. I won the contest and was given a prized frozen turkey. And I was like, “Free poultry products? Writing is where it’s at!” Ironically it turns out, it was supposed to be nonfiction. So my hometown got a little upset thinking my father had passed. My latest accomplishment that I’m proud of is In Between. I teach in a high school of almost 3,000, and it’s been a lot of fun to see the students’ reactions and reviews. So far, so good! Probably a cat. They have the whole calm thing down to a science. They are justified in their laziness. But the hairballs would get a little old. Anything Mexican! I’m a huge foodie, so I appreciate just about any food, but I love fajitas. I live in Arkansas, and in the last few years we have really gotten some quality, authentic Mexican restaurants here. I think doubt and disbelief. It was this huge dream, and I finally realized that by telling myself, “Not gonna happen,” I was underestimating God and how big He is. I really had to change the attitude of my prayer life and start praying big and expecting big (a la Jabez). Since publication, my biggest roadblock has been the rush aspect of it all. My greatest writing days are when I feel no pressure and can just write at leisure. But I think I’ve had ONE day like that since writing book three. Dream for something easier! Like a pony. Or no cellulite! Just kidding. I think to just surrender your dream and talents over to God. Things moved very quickly for me after I said, “Here it is, God. I’m giving it up to you.” And then expect big things. We are so limited, but God definitely is not. And more practical advice would be to go to conferences like ACFW. I learned so much from just one—walked away a different writer in fact. Invest in your own dream. There are sample chapters on my website and blog. It’s probably going to be nominated for a Pulitzer, so catch it while you can. All right, not really but here’s a blurb! Katie Parker knows life isn't fair. After all, when your mom's in jail and your dad's a no-show, you figure things just aren't going your way. But hey, she can deal. Then she finds out she's being sent to live with a foster family—in In Between, Texas, home of the Fighting Chihuahuas! What kind of town has a name like In Between? And what kind of family wants a kid like her? One thing's for certain: None of this will be good. Sure enough—thanks to some new "friends" and her non-Mom's crazed mother, Mad Maxine—life sails right past bad to stinking. Then again, she's just a temporary kid, they're just temporary parents, and she definitely doesn't have any ideas about making any of this permanent. God, on the other hand, may have other plans altogether. Sounds like a really good read for adults and teens. How can readers find you on the Internet? You can also check me out at ShoutLife.com. Thanks so much for letting me stop by, Lena! The pleasure is all mine, Jenny. Let me know when the next book comes out. Maybe we'll have you back with different questions. Okay, readers, start leaving your comments for a chance to win a copy of In Between. And don't forget to visit our other open interviews with Christy Barritt and Rachel Hauck. Lots of good summer reading here. Today, I'm introducing you to Christy Barritt. I met her through American Christian Fiction Writers. When I got a copy of the featured book, I read it right away, and I loved it. I believe you will, too! Christy, thank you for joining us. Tell us how much of yourself you write into your characters. There’s a little bit of me in every character. Often times, I like to take a character trait of mine and exaggerate it for my characters. For instance, I’m always talking about music and songs and different bands. My character Gabby St. Claire in Hazardous Duty constantly quotes songs from all different musical styles. So what is the quirkiest thing you've ever done? My husband always says that I could be a character in one of my novels because I’m full of quirks. Off the top of my head, I’m going to say that it was when I threw my dog a birthday party. I served all the guests (humans) chili in a dog bowl. I bought refrigerated breadstick dough and tied knots in the ends, baked them and had a tasty carbohydrate treat that looked just like dog bones. I sent everyone home with a doggie bag. My pragmatic relatives still talk about that party. I’ve always liked to write, but been a little insecure about it, convinced I had no talent. I guess the moment I first felt like a “real” writer was when an editor sent me a proposal. What a dream come true. He’d had several people recommend me for the project. The book turned out to be my first non-fiction book, Changed: True Stories of Finding God in Christian Music. But honestly, I still feel like a fraud, like I really can’t write. I just keep waiting for someone to discover me and report me to the Smoking Gun or something. I don't think there's any danger of that. Tell us the range of the kinds of books you enjoy reading. I love reading. My favorites are romantic-suspense, mystery and chick-lit. I try for the life of me to get into the classics, but I can’t. I read a book to be entertained and the classics are too much work for me, unfortunately. I have two books published with small presses, The Waiting and The Trouble with Perfect. I also have the non-fiction book that I mentioned earlier, Changed. Changed 2 is supposed to hit shelves in 2007. I have several books that I’m working on that aren’t published yet. The main project that I’m delving into right now is the second book in the Squeaky Clean series, The Grim Sweeper. Sanity? What’s that? J I’d have to say that one way I keep myself connected to God (and thus keep my sanity) is through praise and worship. I play the guitar, sing and was the worship leader at my church for a few years. I never feel as close to God as when I’m singing praises to him. It refreshes me and helps put my priorities back in order. I really enjoy choosing names. I picked Gabby’s name in Hazardous Duty because she’s kind of talkative. Gabby’s best friend, an animal right’s activist is Sierra, because it made me think of the Sierra Club. In my new WIP, The Couch Potato’s Wife, the character’s name is Laura, which she feels is very ordinary, as is her life. She longs for something more exotic. I try to find names that fit the character. I’d have to go with my son, Eli. He’s a new edition to my life—he’s less than a year old. He’s absolutely turned my world upside down. I don’t know if I’d call him an accomplishment, but I do know that I’m awfully proud of him. A bird. I’d love to know what it feels like to fly—the freedom, the sights, the air. I love my mom’s chicken and dumplings. As Rachael Ray would say, Yum-O! Character development. I tend to see books in a very plot-driven way. Writing in first person really allowed me to get inside my character’s head and flesh them out. I spend a lot of time trying to get to know my characters now, before I ever start to write the book. Having a visual picture of them helps also. I search long and hard to find pictures resembling the characters in my books that I can tack to my bulletin board. I especially love using the JCPenney catalog for this. I had such a good time writing Hazardous Duty. Gabby St. Claire pulled me right into her little world. I hope everyone will enjoy reading it as much as I enjoyed writing it! Reviewer Mary Connealy said that Hazardous Duty is the “book Christian fiction has been waiting for.” People should check out the book, just to see if that’s true! 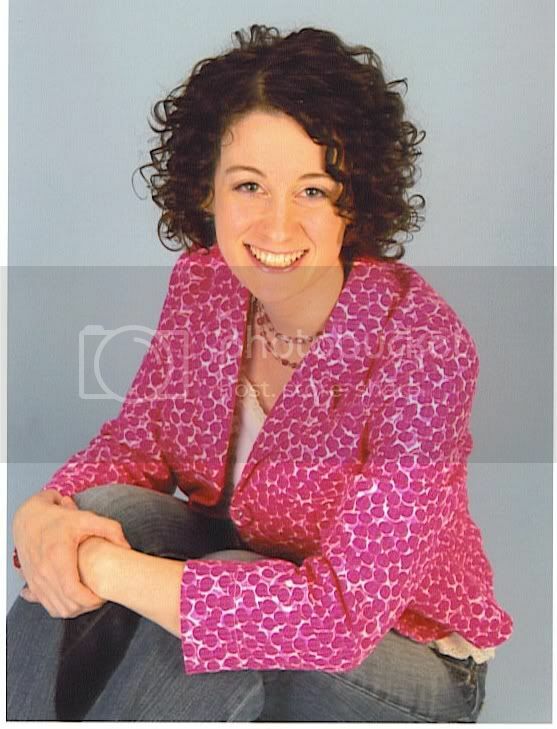 For more information, feel free to check out my website at: www.christybarritt.com. Thanks for the interview, Lena! It was fun! Yes, Christy, it was. When you have another release, we'll have to do it again. Okay, Readers, you won't want to miss the chance to win a copy of Hazardous Duty. So start leaving those comments. Remember there's still time to leave a comment for a chance to win a copy of Rachel Hauck's latest book, too. Friday evening, DiAnn Mills and I had a book signing at Mardel's in Irving, Texas. On Saturday, DiAnn taught a seminar at the DFW Ready Writers regular meeting. FWA West Melbourne, etc., just won a copy of Fair Game by Carol Cox. I believe that's Mary Brotherton. Please contact me with your mailing address so we can get this book to you. There's still time to leave a comment on Rachel Hauck's interview for a chance to win a copy of Diva NashVegas. Since we ran the interview, I have read Rachel's book. I will tell you that I was unable to put it down for very long. I actually finished reading it after midnight, which I don't often do. I accused Rachel of keeping me up too long. The next post will be a slide show of my weekend, then I'll post a new interview. I wasn't going to do this, because I was also tagged on ShoutLife, but several people have tagged me for a blog, too. 1. Each player starts with eight random facts/habitsabout themselves. 2. People who are tagged need to write their own blogabout their eight things and post these rules. 3. At the end of your blog, you need to choose eightpeople to get tagged and list their names. 4. Don’t forget to leave them a comment telling themthey’re tagged, and to read your blog. 1. I was born on Friday 13th. 2. I don't like spiders or snakes. 3. I do like butterflies, flowers, and birds. 4. I love to wear bright colors, because life is too short to wear dull colors. 5. I have a three-wheel cycle. Because of an injured ankle, I could no longer ride a bicycle. (Don't ask me how often I ride it. 8. I've traveled in Mexico and Guatemala. I love them both. Now for the people I'm supposed to tag. I'm often a rebel, and that's coming out here. Instead of me tagging my friends (Other people have beat me to it.) I'm asking the readers to leave a comment with random things about themselves. I'll choose a winner from those who leave comments and send that winner an autographed copy of one of my books. Once again I'm privileged to welcome my good friend Rachel Hauck to the blog. I hope you've already read Lost in NashVegas. You'll want to get right into Diva NashVegas. 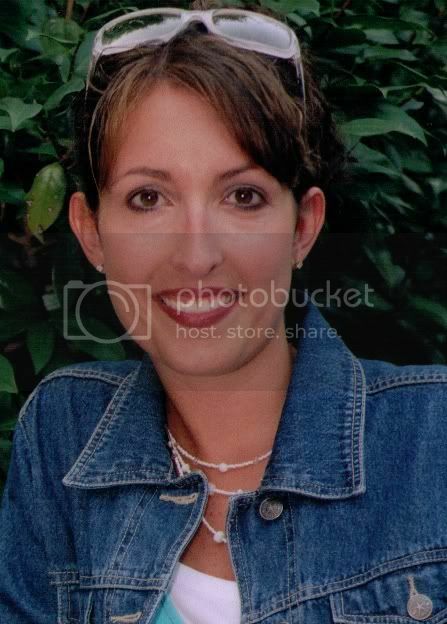 Rachel Hauck lives in sunny central Florida with her husband, Tony, a pastor. They have two ornery pets. She is a graduate of Ohio State University and a huge Buckeyes football fan. 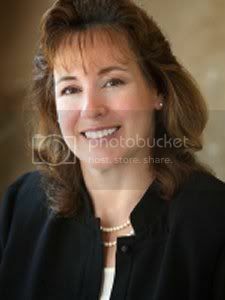 Rachel serves the writing community as Past President of American Christian Fiction Writers and a member of the Advisory Board. 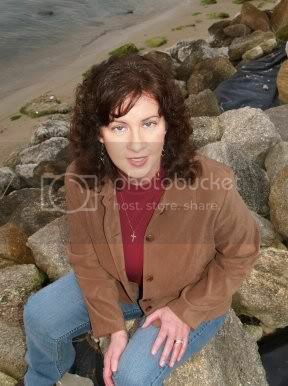 Visit her blog and web site at www.rachelhauck.com. Leave a comment on her blog at her web site and be eligible to win a $25 gift certificate to Starbucks or Barns & Noble. Two names will be drawn. Remember that if you leave a comment on this blog, your name will be in a drawing for a copy of Diva NashVegas. Rachel, why do you write the kind of books you do? I like to write fun, feel good books that have a subtle deeper message. Chick Lit/Romance is a good way to accomplish both. Also, chick style is my best writing voice. Well, I’ve had many happy days. Graduating from Ohio State, marrying my husband Tony, family weddings and births. But, there is a day that stands out in my mind. I was in the right place at the right time to lead my hairdresser to the Lord. It’s a long story, but after she prayed, giving her life to Jesus, I drove home literally feeling like, “My earthly job is done. I can go home now.” It was a great day. I can see why. How has being published changed your life? Mostly, I work at home now instead of an office. (snicker) Writing and being published really satisfy a deep part of me I didn’t know existed. There are hard days. Writing is solitary. Writing is competitive. Writing is fun. Writing is hard. Yet, I know it’s what I’m called to do. So, in that sense, it changed my life because I really believe it’s what God gave me to do in this life. I am reading Tracey Bateman’s Claire Knows Best. My current book which comes out in March 2008 is Sweet Caroline, a chick lit set in the South Carolina lowcountry. Caroline is a little lost in life, not sure what to do with herself. And then one day a man dies and causes her to take a long hard look at her life. South Pacific beach with my hubby, a pile of good books, my iPod and a bottle of Copper Tone. Sounds good to me, too. How do you choose your settings for each book? I started out choosing familiar settings. But when I started writing for Thomas Nelson, I wanted to keep with a southern flavor, and my editor agreed. So, I pick southern settings. I look for popular locales, places in the news, interesting areas. I know this is nuts, but I’d really love to spend an evening with country artist, Keith Urban. I’d like to talk to him about his life, music, and Jesus. I love sports. I go to the gym for Spinning classes and to lift weights. I also love a good prayer and worship meeting. Getting started. I can think of a good idea, work out some plot points, but getting to know the character and setting is very hard for me. I write and rewrite. One thing I like to do is weave the setting into the plot with the character. All of us are effected by our environment. How can I make my protags environment be it a job, a city, a family dynamic, motivate or cause conflict for my character? So, it’s more than just knowing the character or researching the setting. They have to work together. Know this is something you really want to do. Being published is a difficult first hurdle. But there are many to follow. Marketing and promotions. Writing on a tighter deadline. Rewrites and edits. Competition with other writers. Heed the Bible’s words to not compare ourselves to others. It can be devastating. Keep your eyes on Jesus and His destiny for you, not on what other writers are doing. The idea to write about a singer came from a conversation with my editor, Ami McConnell. At first, I created the Diva to be a wanna-be star, but after thinking the story through, I decided she had to be an established artist, a superstar. How do you research a diva? Not easy. I read a lot of bios, and spent time with Christian artist, Kim Hill. She was a blast and a great help. I loved hanging out with her. I also got some inside scoop from record producer and fellow Thomas Nelson author, Matt Bronleewe. Thankfully, I found a forum on the internet and a kind gentleman gave me eight detailed reason why an artist would enter into a dispute with her label. Saved the day! I also researched foster care and television production for elements of the story. Kelly Sutton and Molly Day, a TV personality and producer respectively in Nashville were enthusiastic resources. After that, I only had my imagination. Diva NashVegas is a wonderful story about a country superstar who must realize her future by dealing with her past. Aubrey James is the daughter of Gospel music icons who are killed when she is young. The story drops in on Aubrey as she turns thirty and realizes the life she’s living isn’t really the life she loves. While Aubrey tells her story to Inside NashVegas reporter, Scott Vaughn, we also see Aubrey through Scott’s eyes. And he’s falling fast. I really think Aubrey is a character who will stick with readers long after the last page is read. First, a great read. I hope they can be transported into Aubrey James’s world. Next, a message that life isn’t always fair, but we have the power of choice in our response. God is always there for us, even when we don’t feel He is. Rachel, thank you for spending this time with us. The book sounds awesome, and it's on the top of my to-be-read pile. I can hardly wait to get to it. Wow, readers, I know you'll want a chance to win this book, but if you don't, you'll want to get a copy. Here's a picture of Kim Sawyer, Cathy Marie Hake, and Carol with me at the American Christian Fiction Writers national conference in Dallas last year. They shared my joy with me. Carol, tell us how much of yourself you write into your characters. How about letting my husband talk me into getting involved with Cowboy Fast Draw? Yes, you read that right. Fast draw, as in Gunsmoke, as in Bonanza, as in “let’s see who can hit the target first.” The transition from mild-mannered author to pistol-packin’ pastor’s wife isn’t quite as bizarre as it sounds when you know that in addition to pastoring two churches, my husband also owns a saddle shop. In recent years, he has become well-known for making historically accurate gun rigs for men and women involved in Cowboy Action Shooting, one of the fastest-growing sports today. From there, it wasn’t too big a step for him to want to compete himself. Then he decided it would make a wonderful family activity. . .and the rest is history. While other families decide what DVD to watch, we work on ways to lower our reaction time. And I have to say I love it all, from the friendly competition of the meets to creating an Old West persona and dressing the part. Wow, Carol, I had no idea. What fun! When did you first discover that you were a writer? I have wanted to write ever since I was a small child, from the moment I realized someone got to make up those wonderful stories I loved to read. The first inkling that I might actually be able to carry it off came in seventh grade, when I started writing books during English class. Unfortunately, the teacher saw my foray into literature as a lack of attention rather than budding genius, so I was forced to produce smaller works. I mean really small. I wrote in tiny print on paper folded into squares a couple of inches across. But the results were worth it. My friends started reading my deathless prose during recess and clamored for further installments. They liked the stories, they laughed in all the right places--what more could an aspiring author ask for? I was hooked! I hope you still have a few of those for momentos. Tell us the range of the kinds of books you enjoy reading. I read in most fiction genres—everything from cozy mysteries to westerns to romantic suspense to sci-fi. I love learning about new things, so I devour non-fiction books as well. Now that I’m writing full-time, I have far less time available for reading than I used to. My reward for finishing a deadline is to dive into the stack of books waiting to be read. It’s a wonderful opportunity to catch my breath until it’s time to get back to work again. I’ve written eight titles for Heartsong Presents and eleven novellas in collections published by Barbour. I’m currently working on the last book of the A Fair to Remember series, set in Chicago during the World’s Columbian Exposition of 1893, and have just completed a book for a new series from Guideposts, called Mystery and the Minister’s Wife. The list includes both historical and contemporary titles, and I’ve loved doing both! I know what you mean. I do, too. How do you keep your sanity in our run, run, run world? It’s all about priorities and seeing what is really important. Recently, God has been reminding me of Jeremiah 29:11, with its promise that His plans are to give me a future and a hope—not to burden my life and overwhelm me. He has to be my number-one priority, or everything else falls apart! Amen to that. How do you choose your characters’ names? More often than not, they wind up introducing themselves to me before I have a chance to have any say in the matter. LOL Take Ethelinda Purvis, the landlady in the A Fair to Remember series, for instance. She waltzed up to me one day, with those iron-gray curls bobbing around her face, and informed me she was far more than a mere bit player in the books. Was I going to argue with a woman named Ethelinda? I don’t think so. You're so funny. What is the accomplishment that you are most proud of? My family. My husband and I have been married nearly 33 years. We have two wonderful kids, the daughter-in-law of our dreams, and our first grandchild is due any day now. Calling this an accomplishment isn’t a pride issue over anything I have done—it’s utter gratitude that God has blessed me by putting them all in my life. Readers, that grandbaby arrived before this interview went up on the site. I've seen a picture of Carol with her, and she's a real cutie. Let's digress a little, Carol. If you were an animal, which one would you be, and why? What a great question! If I could trade places with an animal for a day, I’d take a turn at being Max, our black Lab. Max’s mission in life is to please and offer unconditional love to his family, asking only for regular meals and a bit of affection in return. He’s happy just to be around us, and loves hopping into the minivan whenever we leave home. It doesn’t matter where we’re going; his whole goal is simply to be with us. Watching him reminds me of the way I should relate to God—with total trust, total contentment, and utter joy in His presence. That's a good analogy. Now a subject dear to all our hearts. What is your favorite food? Two things—lack of confidence and poor time management. Trying to run in a dozen different directions at once drained my time and energy and sapped my confidence in myself and my writing. It took moving the focus away from myself and onto the Lord to get things back into perspective. Believing that writing is something He wants me to do, I see it as a calling, not a hobby or “just a job.” And because of this, I can put my confidence in Him rather than in my own efforts. As to time management, I knew the right things to do, but I needed to put them into practice. And as these issues have been resolved, I have more time to concentrate on what I’m supposed to do and feel better about what I accomplish. Everyone could gain wisdom from you on these two things. What advice would you give to an author just starting out? Be patient. Prepare to learn and gear yourself mentally for a marathon, not a sprint. The learning process takes time. Read in a wide variety of genres to discover which holds the most appeal for you. Your writing will show far more depth and passion if you’re working in a genre you love. Study the craft of writing. There are excellent books available, covering everything from basic grammar to character development to plot and structure and much more. Organizations like American Christian Fiction Writers offer teaching, encouragement, and support (as well as wonderful mentors like Lena!) to their members. And writers conferences are held all around the country. Attending conferences is a wonderful way to build on your knowledge as well as getting to know others who share your passion for writing. I’ve had a great time writing this series, where I was able to combine my favorite elements of history, mystery, and romance. An intriguing setting is often the catalyst that gets my creative juices going, and the 1893 Chicago World’s Fair is a setting like no other. It was a pivotal point in U.S. history, a moment in which the nation felt itself on the brink of major change, with all the excitement and anxiety that implies. As if that weren’t enough, I discovered rich story fodder beyond the gates of the fairgrounds. Inspired by the knowledge that people from all over the world would be flocking to Chicago, D. L. Moody planned a six-month evangelistic campaign to coincide with the fair. I had already decided on Seth Howell, a young preacher, as the hero of Fair Game. After reading about Moody’s campaign and the results it brought, I knew Seth would have to be a part of that. Then I learned about the many disappearances that took place during the fair. Chicago police were so swamped by missing persons reports, it was impossible for them to look into them all, and that planted the seed for a very important aspect of the story. I have one more book to write about this amazing fair. I am looking forward to revisiting a period and place I have come to love, but I hate the thought of saying goodbye to the setting and the characters once it comes to an end. Thanks so much for inviting me to your blog, Lena. I’ve enjoyed the questions and the visit! The time with you, Carol, has been fun and informative. I'm sure the readers will agree. Now, Readers, be sure to leave a comment on Carol's interview for a chance to win a copy of Fair Game. The next interview will be with Rachel Hauck, so come on back soon. Kathleen Morphy, you are the winner of One Prayer Away by Kendra Norman-Ballamy. Please contact me with your mailing address, so your book can be sent. I just love choosing winners, because I know they will soon be enjoying some of the best in Christian fiction. You could be one of those winners, too. All you have to do is leave a comment on an interview for your chance. There's still time to leave a comment on Jeanie Smith Cash's interview for a copy of her first book Christmas in the Country. Be sure and come back often. We have an outstanding lineup of authors coming up.